A HTML5 game playable online on mobile phones. Choose your car and equip it with powerful guns. 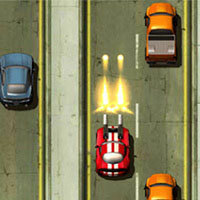 Drive on highway, avoid crashing into obstacles or other vehicles and use the guns to clear the road.